Oracle Applications R12 is the latest release by Oracle for an ERP. It has many uncountable features, but few are listed here. New features of Oracle ebs suite r12 are very useful to remember for every Oracle DBAs. Sometimes, Oracle ebusiness suite also known as Oracle ERP or Oracle Apps. On the Client tier, it moved from Jinitiator to Native Sun Java plug-in JESE 1.5. On Application tier, it adapted Oracle Application Server 10g : replacing 8.0.6 Oracle_Home in iAS 1.0.2.2 with Oracle AS 10g 10.1.2 for forms and Reports; replacing Oracle 8.1.7 Oracle home in iAS 1.0.2.2 with Oracle AS 10g 10.1.3 for Oracle container for Java OC4J; It is certified with Oracle Fusion Middleware; It adapted Oracle JDeverloper 10.1.3 and JDBC 1.2 , JDK 5.0 for Web & concurrent processing, Oracle AS 10.1.3 web service infrastructure. On Database tier, it adapts Oracle 10gR2 for improving Manageability and better performance. Another improvement with EBS R12 is its full certification of 64 bit platforms on both application tier and database tier. In Oracle Applications R12 we have new top called INSTANCE_TOP in application tier. This top holds configuration files, certificates and related log files and PID files. INSTANCE_TOP gave a clear distinction between the location of code, data and configuration files. It also has the feature to share the code which includes Applications, Technology Stack among multiple instances. The configuration and log files are located centrally in the instance configuration home. Connection mode in Oracle Applications R12 is SERVLET. Since all the connection is through HTTP server so there is no need to start form server and no need to open form server port on firewall between client machine and application tier. SERVLET mode of connection is more secure than SOCKET mode. Simple SSL configuration is required in this mode of connection. Oracle Applications R12 has a single APPL_TOP which is an intelligent thing to do if one is using a multi node Oracle Applications R12. Thus, all files required for all middle tier services are included in all nodes of multi node installation. In cloning of multi node to single node, there is no need to merge APPL_TOP in R12. The rapid install of the Oracle Applications R12 stores base configuration in database, thus there is no need to copy config.txt. FNDCPASS utility in Oracle Applications R12 is shipped with enhanced security of non reversible hash password. Oracle Applications R12 has a improved forgot password feature. One would be able to retrieve username and password, thus no workflow inbound process needed. In Oracle Applications R12 rapid install supports the deployment the database-node and the middle-tier node into different domains. Also it allows selecting if applications users are using the same shared APPL_TOP. 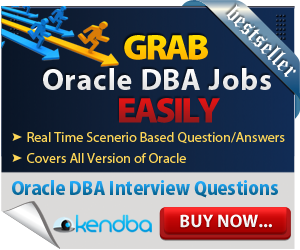 Oracle Database administration is becoming more tough from Oracle 11g even automation introduced, because so many new features are introduced in Oracle Database level. As well as in Oracle ebs r12, there are so many new features added. If you are working in Oracle ebs 11i then you should need to study properly of Oracle apps r12. In release 12 of Oracle e-business suite, so many new features introduced with new configurations and basic architecture is changed too. During database services and remote dba work, we need to take care of these changes.